Well, this was sure a year. And one I am sure glad we are almost over with so we can look towards brighter tomorrows. But before that happens, let's reflect on some of the games that were released just this year. Specifically, my annual favourites list. As always, this is just a personal list of what I have enjoyed over the course of this year. 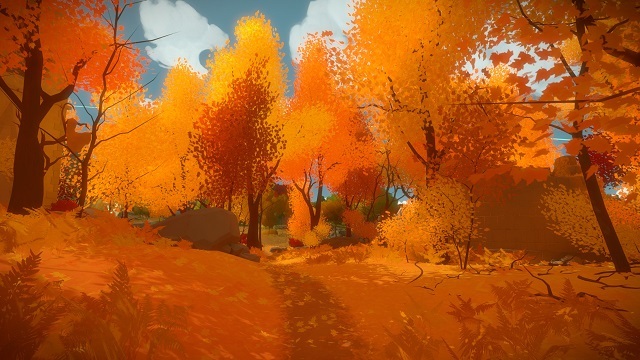 Described as the "Dark Souls of Puzzle Games," The Witness throws you into a big open world for you to explore at your leisure, all the while solving various different puzzles involving moving a line through a maze. Most follow the same rules: There is a start point and an end point, reach the end without crossing the lines, and done. However, progressing further and further into this world, you'll find different rules you must adhere too. These include moving two lines at once, understanding what different symbols mean for your line to cross over, even using the environment such as sights, sounds, and colour to decipher the solution. This is a game that will destroy your mental well being, but solving it and reaching the end makes you feel like an intellectual badass. Helps, though, that the environments are pretty to look at during your journey, with lots of neat looking setpieces. They don't really do much other than give you landmarks so you know what set of puzzles you'll be doing. Like, the greenhouse is where the colour puzzles are and the pagoda is where the scenery puzzles are. There is pretty much no story from what I could find, outside of bizarre tapes quoting famous individuals from history, but it really didn't need one. I like to look at the Witness as more of a theme park attraction. One that requires you to be a freaking genius to see everything, however. A chill game that seemingly came out of nowhere until someone brought it up to my attention. 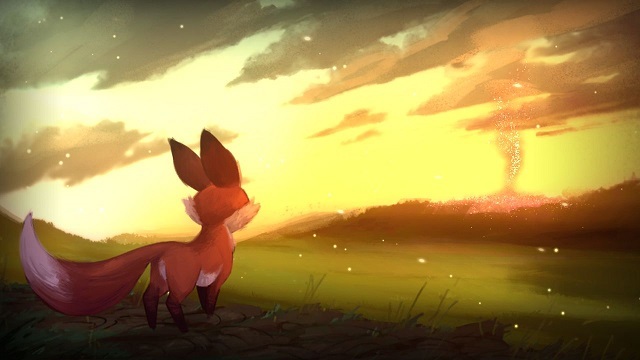 The game centers around a spirit that inhabits the body of a fox that gains the power to change the season to any of the four that we have come to known. And switching is key to find your way around the landscape. Spring can fill in lakes and bloom flowers, Summer can drain lakes and stretch out vines, Fall will cause leaves to pile and mushrooms to grow, and Winter gives snow and ice to traverse across. You are tasked to gather all these seasons to perform the Ritual of Seasons to...well, the game wasn't entirely clear why this needed to be performed. I guess it was to keep the forest in balance? Regardless, it was a cute platformer with literally no danger whatsoever, and it made for a very pleasant romp. The animation was like watching a painting come to life and I enjoyed it all the way to the 100% golden ending. 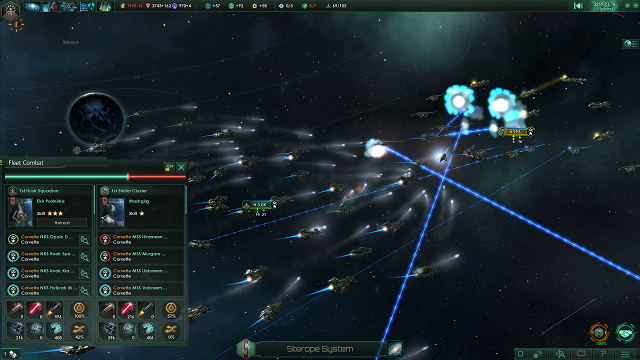 I've only recently became a 4x fan a couple of years ago, but Stellaris is right up there as one of the games I was very much waiting to happen. Taking place several centuries in the future, you take on the role of one of limitless different races (either premade, or custom made yourself) as you build your space empire all across the massive galaxy. Along the way, you will encounter many different sights, from hostile forces, to old Empires that have fallen from grace, to those just like you, just starting out. What I found most fascinating was just the degree of customization you can do with your race. They can have a preferred habitat to live on, have various different kinds of ethics, from xenophobia to technologists, even going as far as to decide just what kind of travel your fledgling race can use. And like many 4x titles, no two sittings are the same. You'll encounter different alien races, colonize different planets, even encounter different end game scenarios. I do find it suffers a bit from the fact that, more often than not, things do lead to war if you want to "win" this game, but the devs have promised more patches along the way to help add some much needed diversity to different styles of play, so I am hopeful that my preferred form of diplomacy gets to shine in the future. 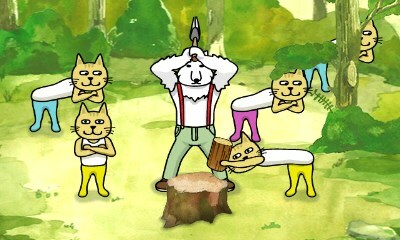 Rhythm Heaven is a franchise I am just so happy exists. Everything about it is just beyond bizarre, but that's exactly why I love it. Megamix is no different, but rather than just being another set of brand new games, this one is more of a "best of" collection, bringing in games from the past 3 games (including the Japan-only GBA title). But that doesn't mean there isn't anything new, oh no. We've got Catchy Tune, First Contact, Sumo Brothers, Kitties!, and quite a bit more. While this does mean it has the fewest new games in the series, it is still incredibly jam packed, not to mention having some rather nice side content involving the Challenge Train, where you go through those same games with varying rules. Ever wondered what Lockstep is like with increased tempo? Now you can "enjoy" it in this collection! There is also a sort of story mode involved which, honestly, I feel kind of distracts from what makes Rhythm Heaven so enjoyable. There are plenty of quirky characters (like a dog/bee hybrid, or a person completely obsessed with "handsome" donuts), but it really just gets in the way when previous games just let you jump right in and enjoy the rhythm games. It's a minor gripe, though, because the package feels so complete. I still had that desire to try to perfect every single song, so the game has still got it. Full Disclaimer: I backed this game. In fact, if you manage to finish the game yourself, you can even see my name in the credits! But I'll keep my bias in check here. I've always liked Shantae, even if I actually haven't finished one to completion. So when it was announced many years ago that they wanted to make an HD title with beautifully hand-drawn characters, I really wanted to jump on it. I didn't right away, mostly due to a lack of a credit card, but once opportunity rose, I did jump on it and became a proud "Tinkerbacker," even getting access to demos and an early copy of the game. But enough about that, let's look at the game itself. It's a bit different from previous titles. It still plays like previous Shantae titles. You can attack by whipping your hair, transform into various animal forms to explore different parts of the levels, but the biggest change is what I just said there: levels. While I've always known Shantae to be a Metroidvania, spanning a big overworld with some dungeons thrown about, this one instead has you travelling to more bite-sized areas, complete with an end goal. That's not to say they are devoid of secrets. In fact, you are encouraged to return to old levels with new powers and transformations in order to find optional and required secrets that you couldn't get your first time there, so that old sense of exploration is still kind of there. Overall, it's good to see at least this Kickstarter project feels super polished, even on Wii U, my system of choice. It's not exactly what I thought it was going to be, but it was still a good time to dance through. 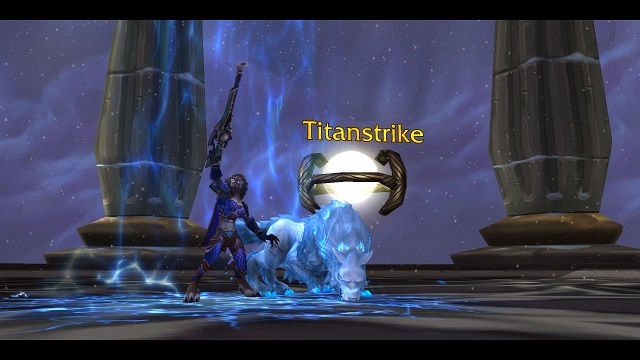 After the rather bitter tasting Warlords of Draenor, I wasn't sure if WoW could bounce back for me, but man does Legion really try it's hardest. Our heroes are back on Azeroth where the Burning Legion has unleashed a full blown invasion, far bigger than what was seen during the Third War in Warcraft 3. And the damage was done almost immediately, with great heroes of both the Horde and the Alliance being brought down, leaving our playable characters as not only the last line of defense, but also heirs to powerful weapons once belonging to these great heroes. What I liked right away was the sense of openness, letting you go through the four new areas of the Broken Isles in whatever order you wish to and they really try to make your character feel more important than ever, with random NPCs even commenting on acts you may have done during your campaign. Even when you do hit 110, that openness was still readily available with the World Quests, which seem to have replaced Dailies by giving you much more freedom of choice of what kind of objectives you'd rather be doing. I honestly feel this system is much better than the "this got old really quickly" manner I felt about Dailies. But at least the game is fun again. No more waiting around in a barracks while your NPCs do all the fun stuff. This is the one that actually got me to seriously try to get into the Fighting Game genre. That alone deserves high praise from me. I've always been the Fighting Game culture, but it was always far too complex for me to get into. 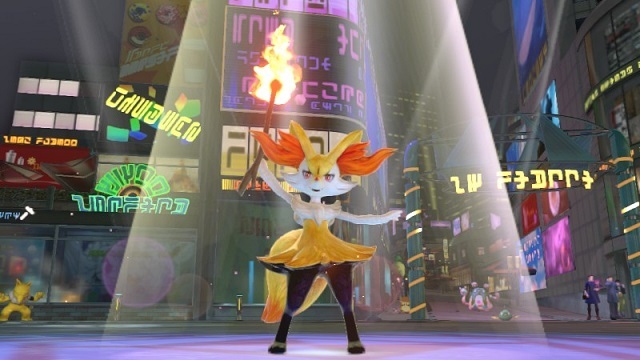 Enter Pokkén Tournament, which has a far simpler control scheme compared to your quarter-circle forward punch half circle back kicks of other games. Selecting one of various types of Pokémon (though a far cry from the now 801 there exists), the idea behind Pokkén is that the Trainer and their partner sort of become synced into one, allowing for more control in battle, leading for some exciting spectacles without worrying about Types, stats, and all that stuff. The controls are so basic, it's almost Smash Bros. tier in its simplicity. Tilt a direction, push a button, there's a different move. You've got Strong Attacks, Weak Attacks, Pokémon Attacks, and all are very easy to pull off. What isn't easy is chaining things together, but the game offers a rather thorough Training Mode to help you understand not only the basics, but some of the early combos you can learn to, though like most good fighters, you're going to need to find what works better for yourself. It's visually striking to look at and quite a lot of fun to play, though there are definitely some issues I have with in. While there is a Single Player campaign in this, it isn't a particularly good one. In fact, it actually drags on and the AI isn't even that difficult. There also isn't much in the way of punishment when you do battle Online, but at least that works relatively well. If only the scene hadn't died down, I would totally be playing more. Oh well, maybe a re-release on the Switch will fix that. Another Monster Hunter on 3DS. This really has become the system for Monster Hunting, hasn't it? The game still technically takes place during the "fourth generation" that started with MH4, using basically the same engine and mechanics such as mounting and climbing, but a few new things were added here to freshen the experience up a bit more. Chief among them are the different Styles you can choose from. There are 4 altogether, each one with their own pros and cons. Guild is the one older fans will immediately be familiar with, Striker makes greater use of the new Hunter Arts system to pull off super cool moves, Aerial makes getting up and mounting monsters easier, and Adept rewards players to play very dangerously with some fancy, hard hitting attacks. Another fun new way to play is as the Felynes themselves, giving you a very different experience where Stamina and items are no longer a thing. 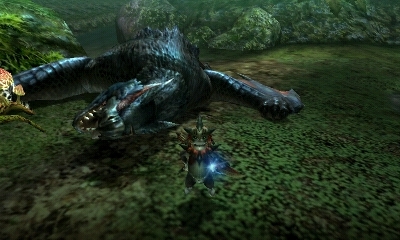 While the name Generations does imply this to be a sort of "best of" of the franchise, it's not short on new ones two, including the Fated Four, which are rather powerful new monsters with some rather interesting mechanics, such as an electric wyvern, or a leviathan that just creates bubbles everywhere. Overall, it does feel like a natural step forward in the franchise and not just a simple spin-off. After the massive success of Fire Emblem Awakening in 2013, it was only natural that the next title would follow in its footsteps. However, it seems Intelligent Systems didn't want to too far alienate its old school fans either, so they pulled a Game Freak and split the game up into different pieces in hopes of trying to find a middle ground. 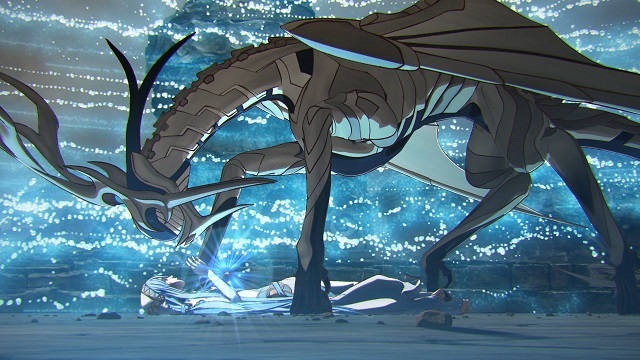 Enter the bizarre situation we are in with Fire Emblem Fates, which is actually not one game but 3 fully featured titles with the same story and characters. You've got Birthright, which plays pretty much exactly like Awakening, Conquest, which leans far closer towards older Fire Emblem games, and Revelation, the sort of "middle ground" chapter of the story. Did it work? Eh, when you're given this much Fire Emblem at once, it can be rather overwhelming and ultimately exhausting to be honest. The games are fine, sure, but splitting it off like this did kind of mess with the natural order of things in terms of characters and stories. By which I mean, you kind of need all three games to get the big picture, which I don't think is a good thing at all. But it at least still works. Our hero Corrin (created and named by the player) is an heir of the kingdom of Nohr, but war is breaking out with the kingdom of Hoshido and Corrin must take charge. But things get complicated when we find out our hero was actually born to Hoshido but raised as a Nohr, leading to this crossroad where you must choose between your two families. It does make for an interesting plot, just not one that was told all that well. Still, the maps are well designed, the characters are likable, and it's pretty much what you would expect a sequel to play like. For 20 years, Pokémon has been a franchise you've come with expectations. You're a kid, you meet a professor, you get a Pokémon of your choosing from one of three, you have a rival that battles you every now and then, you take on the League Challenge by battling through 8 Gyms, you stop an evil team from unleashing their diabolical plans, you become Champion, you fill out your Pokédex, bang, done, start waiting for the inevitable sequel. Pokémon Sun and Moon is the one that finally bucks that trend. It took a long time, but the games finally feel fresh again, for both old and new players. In place of Gyms are Island Trials, which is a lot more than solving the layout of a Gym and battling Trainers. You instead get very specific tasks, such as spotting differences or seeking out ingredients, each of these reflecting the personality of the person who issued the challenge. It makes the world feel more organic in a way. 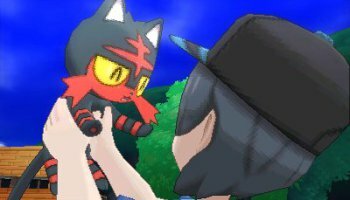 The Pokémon themselves feel more alive than before as well, integrating naturally into the region of Alola. We've seen Pokémon in the overworld before, so that isn't inherently new, but the way they are used makes them feel more a part of the world, helping people out and such. Even the ultimate "bad guy" plot feels more low key than what we're used to, with the majority of the world even knowing that there are dangerous people out and about and it becomes more of a story of just helping someone out. And it all connects so seamlessly. It's almost as though this was the formula they've used since the beginning, and while there are similarities, it is a very different feeling all around, and I welcome the change with open arms.